When it comes to performance apparel, seams are the enemy. They are heavy, create areas of weakness and can be uncomfortable against the skin. 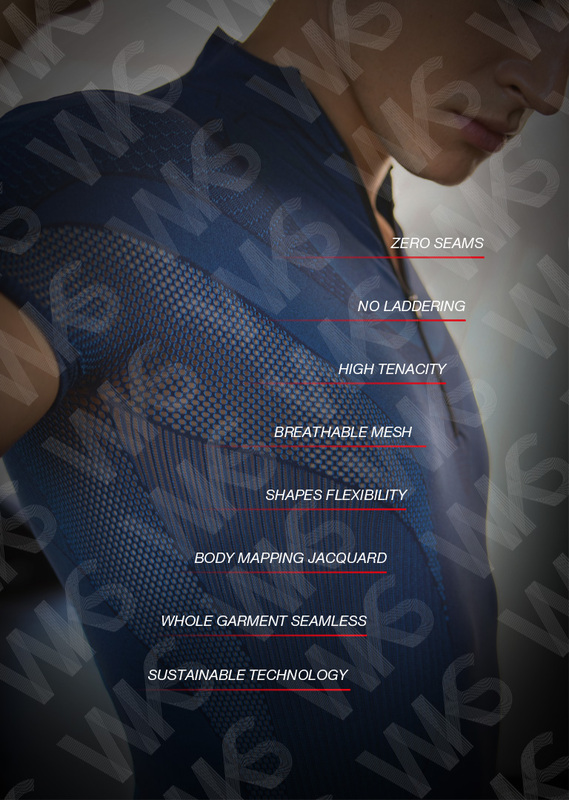 With WKSTM we create seamless garments that fit naturally to the body. In one single piece, knitted structures transitions support body natural movement and help regulate temperature, each zone having its own functionality Our approach is to create a seamless garment designed to amplify the body's natural ability – something that moves with the body and breathes extremely well. In addition, warp knitting reduces the weight of the garment because edges don't require additional finishing. With the WKSTM technology it is possible to create not only several types of tubular formed knitting, but also to devise simultaneously various design structures on the tubular. The design of the mesh holes that map directly to the heat zones of the body, provide breathability and cooling where needed the most. Complete garment knitting offers a variety of benefits in technical aspects as well as in the market demands. 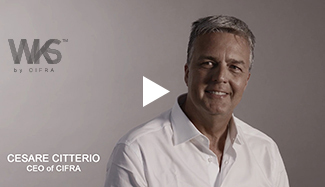 For benefits to the market, quick-response production and just-in-time production are possible. Mass customization is the use of technology and management methods to offer product variety and customization through flexibility and quick response. Computer based piezo - jacquard system, design and know-how are the keys of the success of this knitting manufacturing technology. There are no chances of seam puckering, mismatching of patterns, and fitting-related problems. With the seam-free construction you will have no bulky and irritating stiches but lightness and a total freedom of movement. The knitting of different diameters of tubes within a single garment. Wider range of fit for different body shapes. With the "4 – way stretch" you will reach the perfect fitting. The yarn does not run or ladder if cut. Garments can be sold with unfinished edges. Garments are totally customizable. Quick response production for size and pattern requests. Warp knitted fabrics are much more resistant compared to other textile fabrications. WKSTM is an eco-friendly technique as it allows a significant reduction in production waste.